Gaussian Graphical Models provide a convenient framework for representing dependencies between variables. Recently, this tool has received a high interest for the discovery of biological networks. The literature focuses on the case where a single network is inferred from a set of measurements. But, as wetlab data is typically scarce, several assays, where the experimental conditions affect interactions, are usually merged to infer a single network. In this paper, we propose two approaches for estimating multiple related graphs, by rendering the closeness assumption into an empirical prior or group penalties. We provide quantitative results demonstrating the benefits of the proposed approaches. 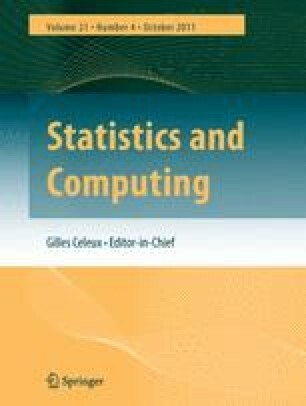 The methods presented in this paper are embeded in the R package simone from version 1.0-0 and later.